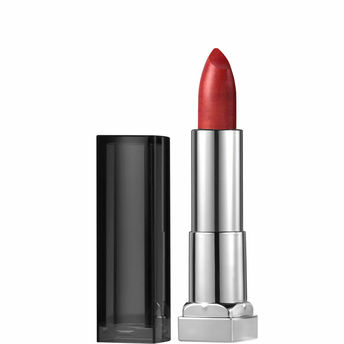 Color Sensational Lip Color available in a collection of sensational matte metallic shades. Mattes go metallic. Sophisticated brushed metal texture in lavish metallic hues for your most sensationally gilt-y lip look. From hot lava and copper spark to gunmetal and silk stone, get the matte metallic look with Maybelline's new supremely sensational matte metallic lipstick. Alternatively, you can also find many more products from the Maybelline New York Color Sensational Matte Metallic Lipstick range.